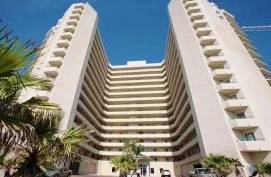 Towers Grande Condominium is located in Daytona Beach Shores just north of the Dunlawton Bridge and Ponce Inlet. Most units are oceanfront offering impeccable oceanviews of the Atlantic. Towers Grande is an affordable option in Daytona Beach Shores and conveniently located near grocery stores, banks, a pharmacy and many excellent restaurants. Unbelievable Views From Your Penthouse 4 Bedroom 4 Bathunit Owned By Developer. Unfurnished, Make Offer As Is Or Developer Will Finish Unit For You. This 15 story, 132 unit oceanfront affordable complex has a 2 week rental policy and allows 2 pets up to 60 lbs. Floor plans include 2, 3 and 4 bedrooms.